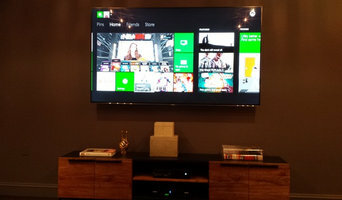 We provide Home Theater, Home Audio, and Networking to Greenwich, Darien and Westport area . Connecticut Electronics Group is foucused on top notch service at fair prices. 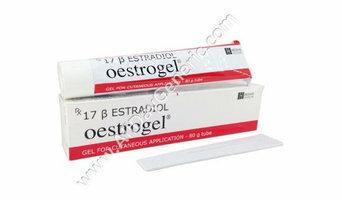 Oestrogel Gel 0.06% is probably safe to use during lactation. Do not consider estradiol alone as a contraceptive. It must be used with progestogen to provide contraceptive benefits. This drug can cause nausea, vomitting or breast tenderness. OneButton crafts elegant solutions that simplify sophisticated controls, complement users’ lifestyles, and contribute to an aesthetic whole. Our team of creative professionals engineer minimalist designs, intuitive experiences, and timeless, tasteful environments. OneButton cultivates a deep understanding of how we experience and interact with technology in the spaces where we live. Empowering users to automate and shape their spaces with sound, lighting, and temperature brings about a new level of intimacy and control. 360 Media Innovations is a full service A/V integrator specializing in the design, installation, and integration of custom electronic lifestyle solutions. We are an award winning, nationally recognized firm that has integrated technology throughout the New Jersey and New York Metropolitan area. We work closely with architects, interior designers, builders and homeowners. And with over 10 years of experience, we can customize any solution to fit your lifestyle or budget. Smartest Home Solutions is your home automation and entertainment specialist. From design and installation, to maintenance and user support, we specialize in smart home functionality and home theater integration. With over a decade of experience, we started Smartest to provide home technology experiences that are equally simple and powerful. Our goal is to create systems that meet our client's needs and budgets, without the pressure and premium price tag of retail based service providers. Design Whether you're finally ready to wall mount that TV you purchased last year, or building a new home from the foundation up, Smartest Home Solutions can help. We design simple home entertainment systems, feature rich smart homes, and everything in-between. It's never too soon to start planing, and small details are easy to miss. Our experts will help you by designing a system that meets your needs. Installation We're experienced with thousands of home entertainment and automation products and platforms. Our installations are clean, creative, and customized to your needs. We're committed to offering installation solutions that meet our client's budget while maintaining a friendly user experience. We won't waste your time and money on unnecessary accessories and confusing add-ons. Integration Technology is only fun if it's easy to use! No one likes juggling remotes on the couch, or using a multitude of apps to make their home "smart." Turn on you're theater with the touch of a button, or set your blinds to close and your lights to fade on at sunset. Smartest can make your home smarter. Shaoxing Jinlong Machinery Manufacturing CO., Ltd, founded in October 2003, is located at Yuzhu Industrial District, Keyan Street, Shaoxing City, Zhejiang, weat side of China textile city, Keyan beauty spot, 30miles from Xiaoshan Airport, 10km from Hangjinqu highway Yangxunqiao export, 104 national highway, excellent geographical location and convenient transportation. Company has acquired ISO9001：2000 quality system certification and CE certification, has developed KGE98 full-auto glove knitter, SJT2000 7G、10G、SJT2004 10G、13G、15G、18G computerized glove machine, SJL-600、600TM terry dual hosiery machine, SJL-606、607 double-needle computer jacquard hosiery machine, SJL-08MJ computer jacquard hosiery machine and other products; company still works hard, continuously innovates and improves, to create the best products. Whether you need a new installation or require service on your existing equipment, All-Ways Elevator is your solution. With over 3 decades of experience in all aspects of the vertical transportation industry, serving contractors, architects, the general public and homeowners alike from design through completion and continuing service, we are your vertical transportation solution provider. My crew and I put a lot of hard work to simplify the home automation systems for my clients. we are passionate and dedicated to our client before , during and after Completing the project and most important, we stand behind our equipment and service it Regularly . Lyric, always independently owned, is today an oasis in a nation of super-sized stores whose employees lack the knowledge and customer commitment that forms the core of our tradition. Our clients have for decades constituted an extended family, and we continue to offer new and old patrons alike — people from around the U.S., Europe, Asia and South America — the most informed advice and the highest degree of service. Our distinct personality stems from the philosophy of Mike Kay, who owned Lyric for 45 years. Mike earned an electronic engineering degree in his native Greece before emigrating to America, taking over a small, second-story shop in 1959, and developing it for 45 years. Lyric created some of the first remote-controlled custom audio installations, and as high end audio materialized in the 1960s and ‘70s, we spearheaded the movement. Soon, high end equipment designers were bringing in prototypes for evaluation, and serious music listeners were returning regularly to hear the newest cutting-edge components. In 2004, Mike Kay, by then in his early eighties and renowned among audiophiles, sold Lyric. Happily, that meant continuity rather than change, since the buyers were his two key employees, Leonard Bellezza, who had already logged 27 years with the company, and Dan Mondoro, a 20-year Lyric veteran. Since 1986, DAVCO has enhanced homes and business environments through the seamless integration of the highest quality custom electronics. We design, install, and maintain systems that provide the solutions for your needs and the pathways to your aspirations. Whether you are looking to add luxury, convenience, fun, safety, energy-efficiency, or all of the above, our systems will be tailored to your lifestyle. Our process begins with listening to your needs and your wishes. For us, this is more than a business venture – we feel like it’s our calling. Your family depends on the reliability and intuitiveness of the systems we install for you and our business depends on the quality of our relationship with you. That’s why our professional, meticulous team delivers exceptional customer service and that is what will continue to separate us from our competition. Today, with thousands of custom installations under our belts, our experience enables us to use the latest home automation, audio, video, lighting, shade, and networking technologies to accentuate the elegance and innovation of your home. The premier audio, video, and home theater company. We specialize in integrating all of today's complex technology into simple, easy to use systems.